The Undermountain. A name that has been the place of stories, legends, heartaches and heroics for a thousand years. Even in the farthest reaches of the Realms the name is known. The tales vary, the heroes change, even what is said of the “Mad Mage” Halaster are never the same. But some things are always the same; danger, darkness, magic, wealth, and fame! 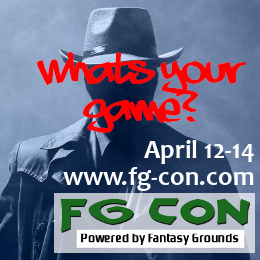 I will be running a four-session delve into the Undermountain for FG Con 12. Players are welcome to sign up for one or more of the sessions. Each session will pick up where the last left off. Through the magic of metagaming, players can keep the characters from the previous session (and any treasure they’ve found!) or start fresh with one of the pre-generated characters (see below). Each session will end with an undisturbed long rest, so that all characters are “full-up and ready to go”. Perhaps the most well know of the ways into the Undermountain is the Yawning Portal. A tavern built in the old city of Waterdeep by the retired adventurer Durnan that sits upon a hundred-foot-deep shaft that drops right through the sewers into what is known as the Dungeon Level. One of more than the dozen known depths of the Undermountain. The Yawning Portal is still run by a Durnan, many generations removed from the original adventurer, but a direct descendent. If you’ve delved through the Undermountain before, you will recognize the places, but with new twists, traps and monsters your prior experience might just lead you astray. If you’ve never experienced the Undermountain, now is the time to partake in a small portion of this epic adventure. All players welcomed, experience with D&D 5E and Fantasy Grounds not required. The word has gone out, bards have been paid to tell the stories, posters have been couriered through the Realms; brave souls are needed to once more tame the Undermountain. More than a decade ago the mad wizard Halaster died, but rather than becoming less dangerous, it seems more dangerous now than ever before. Stout warriors, knowledgeable arcanists, devout priests, and reliable rogues are sought to make their fortunes and purge the evil from beneath the City. A friend of a friend has asked for your help. He is a wealthy merchant in the City and his young daughter has been kidnapped and he has no one to turn to. He dares not go to the Watch as he fears the cultists will find out and carry out their threat to kill her. He can only trust a few friends, and those that they trust. That’s you. The Cult of Talona are a vile breed. Worshipers of the Mistress of Disease, the Mother of All Plagues, the Lady of Poison bring only pain, suffering and death. Rescue young Katania, bring proof of the cult’s evil if you can, gain the favor of a wealthy benefactor. The second session will start with a long rest in the last location cleared by the first session. New players can pick up those characters or bring in one of the other pregens and leave behind one of the previous characters. Of course, if you pick up an existing character, you will have their inventory, including anything they have found, like magic! Several hundred years ago a troop of six dwarves delved into the Undermountain seeking out the lost treasures of Clan Melairkyn. They succumbed to powerful magic and left in a timeless sleep. One has somehow broken free from the spell and has surfaced, and now seeks adventurers to bring his cohorts back from the depths. The third and fourth sessions will pick up where the previous session leaves off. Using the same setup as the second session. A mage from the Watchful Order in Waterdeep has put out a reward for anyone brining her uncut kyo crystals and a map to the location of their vein. She claims to have multiple reports of them being found somewhere in the southern portion of the Dungeon Level. Each player will use one of the twelve second level pre-generated characters that I’ve made available on the DMsGuild; http://www.dmsguild.com/product/231741/2nd-Level-Pregens-for-Fantasy-Grounds Feel free to download and import them into FG so that you can become familiar with them, but I will have them all ready in the campaign for selection and use. The temple of Kelemvor has a small outpost in the southeast part of the Dungeon Level, working to keep the dead at rest. Anyone bringing them supplies will be handsomely rewarded. 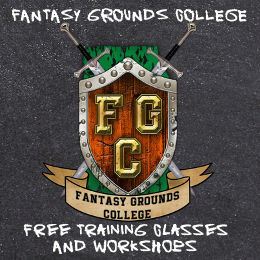 No experience with or license of Fantasy Grounds is needed, but you must have Fantasy Grounds installed and updated. The server will be available 30 minutes prior to start, please connect as early as possible to insure everything is downloaded prior to start time. Please do not be late, there is lots of fun to be had! The Watch has learned that the thieves’ guild, the Blue Crows, has established a safe house in the Undermountain that is connected to the nefarious Knight & Shadow tavern. A tavern that is relocated every time the Watch finds it from the city side. Perhaps if one were to find the safe house in the Undermountain, the Crows could be eliminated and Knight and Shadow shut down once and for all. 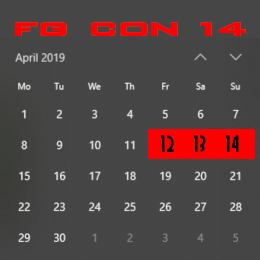 We will be using the FG Con Discord server as detailed in the FG Con website. If you do not game in a quiet room all by yourself or if you like to eat and drink while gaming, please use a headset and push to talk. Ancient texts (or family lore) tells of the legendary Kensi Helm buried within the family vault inside Undermountain. This knight’s helm is said to grant the wearer great powers of foresight and safety in the midst of combat. But the tales don’t say where the vault might reside. So, who does everyone want to play? I think I’d like to play the Half-Orc Cleric UNLESS nobody else wants to play a rogue. So what do you guys want to play?